The mega-large challenges of Europe require new and old wineskins to accomplish the great plans that God has for our historic continent! One of the main areas of development since the inception of «the Second Apostolic Age» (ref. Peter Wagner) has been the maturing of the new wineskin that represents the apostolic role of the leaders who would change, mold and advance God’s Kingdom plan in the earth. European Apostolic Leaders (EAL) believes that if the Daniels, Esthers, Deborahs, Hannahs, Josephs, Pauls, Lydias, Peters, and Johns for this age are to rise up, come together, and move into the formation of His Kingdom plan in the earth, then we need wineskins that would allow individuals from any number of backgrounds to align! These wineskins would need to include spheres for missions, teaching, deliverance, justice, wealth transfer, apostleship, government, education, arts and entertainment, family, media, science and technological development, to name a few. As apostles and prophets in Europe, our passion is to facilitate the development of the apostolic Ecclesia of Europe to establish the will and purpose of the Lord, and to give the vision to a generation of apostles that came from the denominational wineskin to embrace the new move of God for themselves and for our nations and continent. We believe that God´s work in the world will be channeled through old wineskins, tested through times and seasons, and that God will simultaneously birth new wineskins to facilitate expansion and His Kingdom reign today. 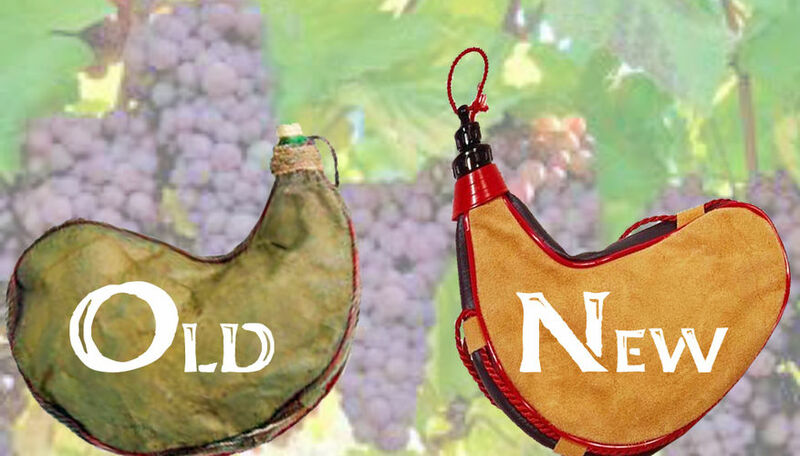 New Wine into Old Wineskins is, according to the New Testament, one of a pair of parables told by Jesus. It is found at Matthew 9:14-17, Mark 2:21-22 and Luke 5:33-39. The parables follow the recruitment of Matthew as a disciple of Jesus, and appear to be part of a discussion at a banquet held by him (Luke 5:29). The parables are told in response to a question about fasting. The two parables relate to the relationship between Jesus' teaching and traditional Judaism. According to some interpreters, Jesus here «pits his own, new way against the old way of the Pharisees and their scribes» (ref Joel B. Green, The Gospel of Luke, Eerdmans, 1997). In the early second century, Marcion_of Sinope, founder of Marcionism, used the passage to justify a «total separation between the religion that Jesus and Paul espoused and that of the Hebrew Scriptures» (Joseph B. Tyson, Marcion and Luke-Acts: A defining struggle, University of South Carolina Press, 2006). The metaphors in the two parables were drawn from contemporary culture. New cloth had not yet shrunk, so that using new cloth to patch older clothing would result in a tear as it began to shrink. Similarly, old wineskins had been «stretched to the limit» or become brittle as wine had fermented inside them; using them again therefore risked bursting them (ref Craig S. Keener, A Commentary on the Gospel of Matthew, Eerdmans, 1999). 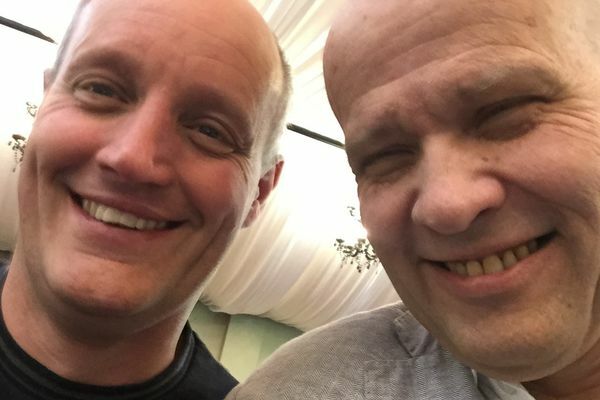 At the UK Apostolic Roundtable at Nettle Hill, Coventry, under Gareth & Sandra Duffty, on May 19th-21st, 2015, English prophet Simon Braker conveyed a challenging prophetic word to Jan-Aage Torp about the new wineskins that God is preparing for Europe. Simon Braker is part of the Leadership Team of the Anglican renewal church, Holy Trinity Leicester.